Relying on the Cuba visa information from Google can result in an uncomfortable and expensive mistake. 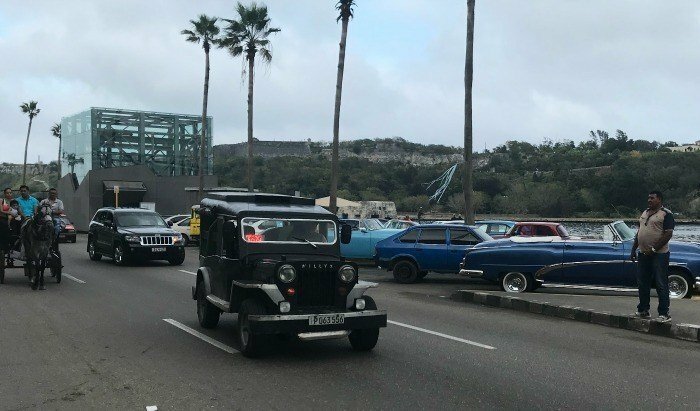 This is an account of the stressful and expensive visa hassle we had travelling with a South African passport to Cuba. The problem compounded by the very poor search results produced by Google. Who meaninglessly feed articles that are years out of date on to the top of the search results. The plan was to fly from Cancun Mexico to Havana in Cuba. All the Google searches we had done didn’t prepare us for what we were to face. Arriving at Cancun airport we were greeted, as expected, by the Cuban Tourist Card (visa) representatives. I handed my Irish and my wife’s South African passport to one of them complete the forms. He immediately handed the South African passport back to me and asked “do you have another one?” When I replied “no” he called across to his supervisor who explained that they could not complete the requirements for South African passport holders and that this could only be done at the Cuban Embassy. It was 05:30 in the morning and we were due to fly out at 08:00 … The Cuban embassy opened at 09:00! Fortunately the airline was accommodating and without charge booked us on the midday flight. The Tourist Card supervisor advised me that he had a “friend” who would collect us at 08:30 take us to the Cuban Embassy, pay the required fee and get us back to the airport in time for the flight. The “friend” arrived on time and took us through to the embassy. What followed was a couple of hours of stress and anticipation as we trudged through the required bureaucratic visa application process. The mission was successful and we were back in time for the flight. The net result of the combination of a South African passport and an inefficient Google search … a missed flight, extra cost (including USD100 to a fixer) and disrupted travel plans! It would seem to be a simple task for the South African government to conclude bilateral visa arrangements with countries like Cuba and Colombia and save all these unnecessary expenses and problems?